When will be The Repair Shop next episode air date? Is The Repair Shop renewed or cancelled? Where to countdown The Repair Shop air dates? Is The Repair Shop worth watching? The Repair Shop is a workshop of dreams, where broken or damaged cherished family heirlooms are brought back to life.Furniture restorers, horologists, metal workers, ceramicists, upholsterers and all manner of skilled craftsmen and women have been brought together to work in one extraordinary space, restoring much-loved possessions to their former glory.Many of these items have incredible stories behind them and a unique place in history: from an accordion played in the Blitz by a woman who is now in her 90s, to a beautifully crafted clock made by a father who was completely blind; a Pinball machine that is currently being used as a kitchen counter, and a Davenport desk with its trademark fake drawers which fooled burglars - and their crowbar.The Repair Shop is an antidote to our throwaway culture and shines a light on the wonderful treasures to be found in homes across the country. The team restore a clock that once hung outside a family business, a treasured metal keepsake box, and an old wooden barber's chair. The team restore a hand-carved model Spitfire, a much-loved leather pouffe, and a battered silver purse holding treasured mementoes of a beloved mother. The team tackle a ventriloquist's dummy, a 1920s typewriter and a precious athletics trophy that's the last remaining memento of a much-loved father. The team tackle an old carousel horse, a teapot with an extraordinary wartime story, and a wooden puzzle that is the only reminder of a much-loved father. The team tackle a radio that survived the evacuation from Dunkirk, a battered leather gaming case and a grandfather clock with a poignant history. Jay Blades and the team tackle a concertina that survived combat in World War I, a vintage jigsaw, and a cocktail table with a surprising secret compartment. The team restore a quirky train set made by a celebrated cartoonist, a nautical ‘ditty box,' and a doll that's a precious memento of a much-loved father. Today in the Repair Shop, the team restore a much treasured family portrait, a precious vintage fountain pen, and a 130-year old tiger automaton that has lost its growl. A miner's lamp that saved its owners life, a mysterious rug-covered armchair, and an antique music machine that hasn't played in years. The team takes on a dilapidated old go-kart, a treasured handmade piece of leatherwork, and a charming cat figurine that sparked a collectibles movement. The team tackle a set of binoculars salvaged from a WWII U-Boat, a vintage mechanical money box, and two boxing belts with a proud and emotional history. The team restores a bike with a patriotic past, a threadbare teddy on wheels, and a Victorian firefighter's helmet. 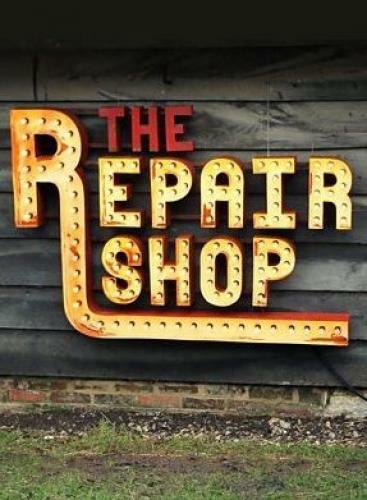 The Repair Shop next episode air date provides TVMaze for you. EpisoDate.com is your TV show guide to Countdown The Repair Shop Episode Air Dates and to stay in touch with The Repair Shop next episode Air Date and your others favorite TV Shows. Add the shows you like to a "Watchlist" and let the site take it from there.